BobVila 3 weeks, 1 day ago. – you can also use Task Scheduler to run the script with each system startup, e.g. SCHTASKS /Create /F /RU "SYSTEM" /RL HIGHEST /SC ONSTART /TN W10Telemetry /TR "cmd /c %windir%\W10Tel.cmd"
Thank you @abbodi86 , for collecting these ideas together at the top of a new topic. I think this option fits my needs better than group hopping. My needs may be different than others. It is good to have alternative methods described so well. Egads this is too advanced for the likes of me. I’ll just have to consider going back to Group B or just accept the tracking. Rats! wouldn’t most of the pastebin script be redundant in that case? then I could manually adapt to suit the systems. Had these done anyway for W7/ W8.1, just better to check against the script for anything I may have missed. IIRC I done most of these via Task Scheduler, cmd prompt and registry edits (exported before deletion where applicable) over a year ago. Just a different method of what I’d already done 🙂 All good! Script is now on standby for October 2018 patches onward for re-introduction in SQMR updates. sigh. Don’t feel bad, its waay over my head also! Thank you, @fernlady. Maybe it’s time for me to just move on to a Chromebook or MacBook at this point. Although Google’s snooping may be worse than MS’s. Only thing is that I tend more to disable jobs than delete them, though the point could be made that deleting a job does make it more difficult for the software to re-enable. There is exactly that scenario Noel (I’m covering all bases), from my POV the Diagtrack service was removed to make it more difficult for MS to re-introduce (unless a SFC repair is done). 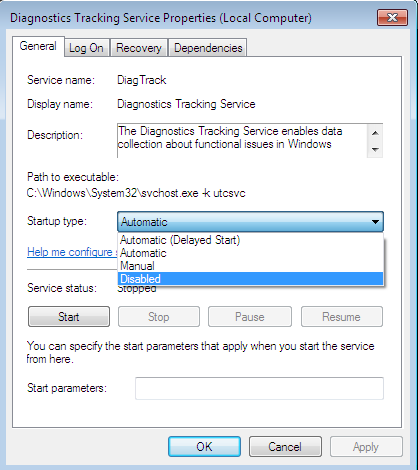 One has to wonder whether the Diagtrack service will be introduced into SQMR patches as well as kb3068708/ kb3080149? For what it’s worth, this script doesn’t break serviceability as checked by SFC, so I wouldn’t think an SFC /SCANNOW would change anything back. DISM on the other hand, I don’t know. Agreed… I had the same experience with 8.1 since the first SMQR to contain the telemetry rolled my way. Wow, has it been two years since Patchocalypse already?? I installed the rollup (following the Group A suggestions), then immediately used Abbodi86’s guide that was current at that time to ferret out the nooks and crannies where the telemetry bits were hiding (thanks once again for that, Abbodi86). I removed rather than disabled the DiagTrack service, and as you said, Microfix, it never came back while pursuing Group A (I kept checking after each SMQR to be sure). I know that disabling it is sufficient to keep it from doing what it does, but there is something satisfying about deleting the loathsome thing rather than simply disabling it, and as has been noted, it’s easier to simply turn a service back on than to reinstall one (though the SMQRs could easily do either). @abbodi86, have you done performance testing to determine if not logging events gives back any machine performance? 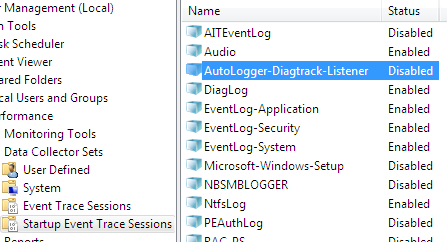 Long ago I had done all of what you described, except disabling the AutoLogger-Diagtrck-Listener trace logging. I can’t imagine it will do THAT much for performance, but hey, every little bit helps. I’ll report back after I get another run of nightly jobs tonight and can compare the times. Thank you for sharing your knowledge here! By the way, my nightly product builds took no less time last night than the night prior, when I had not disabled the log. 55 minutes 14 seconds vs. 55 minutes 18 seconds. The builds vary more than that from night to night. There’s no monopoly on telemetry. Thanks for these excellent and clear instructions, @abbodi86! I wouldn’t mind going to Group B for my own machine, but it would be a pain to to go that route for the other 2 machines I update, and I wouldn’t have attempted the script since I wouldn’t know how to undo something if I mess up in executing the process. But these manual steps are very clear and not onerous. I had done some of them earlier, but I’ll be interested to see what happens to my settings after the October rollup. I really appreciate your time and effort. Did NOT know this was in Monthly Rollup. Never install previews (& never will), so it’s been baked in since November 2016. I was surprised since Windows Update still shows as Recommended (do not receive Recommended updates the same as Important). Followed your manual instructions for disabling Telemetry Client services (I had already disabled DiagTrack) & Compatibility Appraiser tasks. Am still switching to Group B after Patch Tuesday, especially if KB2976978 still shows in Windows Update as Important, like KB3010149 does in Recommended. Would rather be Safe (& on Win8.1) than Sorry (& on Win10 whatever). Thank you so much for the script! Just to clarify: Is there any functional difference between running this script after installing a rollup versus exclusively installing Security Only patches? In other words, does a Group A system where one installs the latest rollup and then runs the above script make any additional network connections than an identical system that has installed only Group B patches? Would there be any additional (telemetry related) CPU usage on the Group A version? If the answer is no, then it seems the reasons for going Group B are rapidly vanishing! Connections to @mrbrian ‘s tests may be under AKB2952664 in the Knowledge Base. 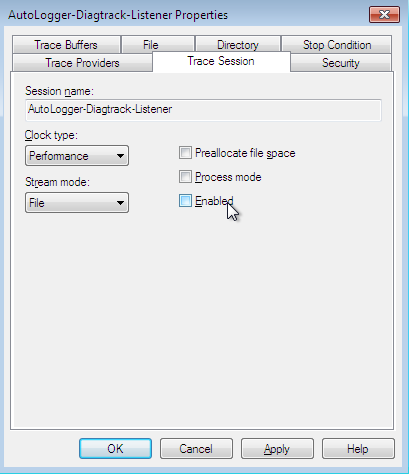 Is it safe to delete diagtrack.dll? I just noticed the cmd script is unable to access certain subdirectories under the C:\ProgramData\Microsoft\Diagnosis path. (The icacls command issues “Access is denied.”) If I try to manually view the contents of these subdirectories, it’s not enough to simply access as administrator; I’m told I have to take ownership of the directory. 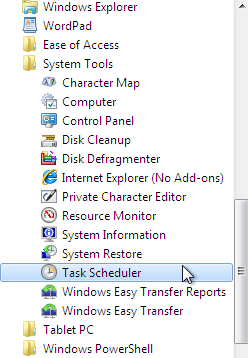 I believe the script that creates the Task Scheduler task sets it up to run as “System,” not as administrator. I’ve been in group b since the beginning. Thank heavens, I absolutely love it! So simple. I’ve now become Group A and I’ll just run this script. So I go to Windows update expecting to find all kinds things since I’ve been in group b for so long, but the only thing I saw needed (besides NET, Visual c++) was this 2019-03 monthly Quality Rollup for Win7 KB4489878 ..oddly though I did not see Service Stack Update KB4490628 that was suppose to be there, and I don’t have it installed either – why did the SSU not show up? ..because as I said the last SSU or any update I did was back in 2017! I did not want to install KB4490628 separately though since it was not listed so I just went ahead with KB4489878 ..hopefully since I assume it’s cumulative it contains everything I need? So I go to Windows update expecting to find all kinds things since I’ve been in group b for so long, but the only thing I saw needed (besides NET, Visual c++) was this 2019-03 monthly Quality Rollup for Win7 KB4489878 ..oddly though I did not see Service Stack Update KB4490628 that was suppose to be there, and I don’t have it installed either – why did the SSU not show up? The Servicing Stack did not show up because it HAS to be installed exclusively (by itself). It does not show up in the Important Updates queue until there are no pending updates (checked or unchecked) in the update queue. The Servicing Stack is the update for the updating mechanism and is very important. You should install it. I see there was some things in the script it says it did not do, and I assume that was because of obvious reasons. The script needs to be run as “System,” not just from an eleveted command prompt. Along with the script, there is a command line in @abbodi86 ‘s AKB that sets up a Scheduled Task, run as “System” on bootup. To make it work, locate the script in the correct folder and run the command to create the Scheduled Task as per the instructions in the AKB. Okay then, thank you. I created a partition image just before I started so I will just restore it and do it in the correct order this time with the SSU manually done first – if that would be best? I don’t mind restoring at all it’s easy, and actually prefer it if it’s the best thing to do here? Most things say succeeded, and I thought the few things listed in my screenshot that did not succeed was just because I already had all the tasks previously set disabled and in Services had the tracking disabled too. 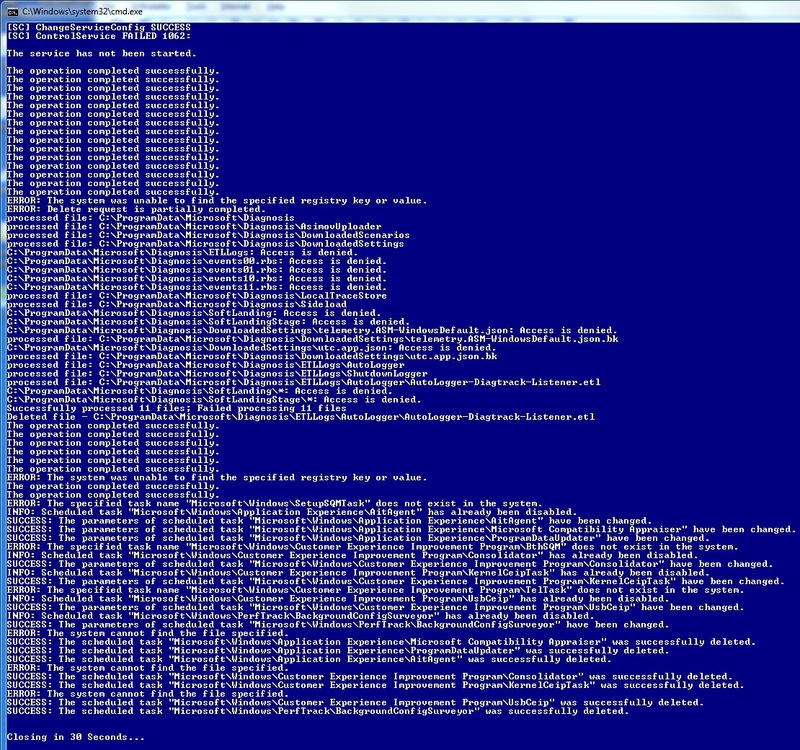 Most of his script worked and I see the things deleted out of the task scheduler now. PCKano you are saying not even if I right click and run as Admin it won’t work? …that’s what I did – does his first posts first method need to be re-worded again because I’m confused. It says just run it once each time you install a new rollup, and so it’s a cmd file and so I just ran it, even right click to run as admin. If there was more to his first method why is it not listed? ..thanks for your patience. Your original reply got caught in the spambucket. It was due to too fast on the trigger with submit/edit/submit/edit. Slow down and let the system catch up between operations. The telemetry functionality of KB2952664 was built into the 2019-09 Preview Rollup and the subsequent Monthly Rollups starting with 2019-10 SQMR. That’s the reason to necessitate rerunning the script. Thank you PKCano. You really didn’t answer my main questions though; also to say I didn’t manually delete Diagtrack etc but his script did, with his 1st way which just says to execute it and is how I ran it. But you said no and that I needed to to it as a “System” task on boot up. Well so I just ran his 2nd way adding in his scheduled task script was pretty easy. I even see the task added in there now as W10Telemetry, and so I rebooted to let her run and tracked what it did but really don’t see it did anything more because I ‘think’ as my above screenshot shows, it already did everything that was there available to do in his first method. Did you look at my screenshot above? Perhaps when abbodi86 looks at the screenshot since he wrote the script he will understand right away what was done or what’s needed now. I really don’t think I need to do anything more? The question though was and is his method #1 to Manually run his ‘W10Tel.cmd’ good enough? Yes/No? ..or is it better to run his method 2 within the task scheduler – I like some clarification on this from abbodi86 too if I may please. Also my hinting asking you did I need to restore my OS image and do it all again just because I did not install the latest KB4490628 Servicing Stack Update first? ..so just now instead of restoring I installed it was very quick wanting no reboot. I see this SSU KB4490628 changed the previous version numbering from 6.1.7601.18766 up to 6.1.7601.24383. Also just checking at WU it still has nothing new for me. Manually or as a Task – whatever gets the job done. Until you forget to run it…….. If the SSU installed, you should be good. No need to restore. PS – it feels GREAT to move to the easier Group A now.. I see why Woody (and others) suggest it. Is there a script like this for Win10 to neutralize telemetry on Win10 too? I’ve seen some programs like O&O etc, but just wondering if someone is maintaining a script to do it like is done here, or if it’s not that easy since 10 is more complex, what is the best program to do it on Win10? not only that but (here’s the shocker) disabling telemetry completely in win10 “encourages” the win10 update assistant to upgrade any machine to the newest feature update available (unconditionally), regardless of windows update blocking settings, bypassing them [aka. “forced automatic upgrades”]. back then in that article, someone using O&O Shutup10 to disable telemetry completely (the diagnostic data set to 0) caused a Win10 machine to force upgrade to v1709. 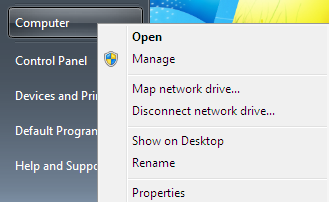 so in essence attempting to disable telemetry completely in win10 seems to make things worse, not better. Okay thank you guys, I understand don’t try to disable telemetry completely, and so then what is the balance, what is the most practical method that can be safely done with Win10? I know I want to at least stop Win10 from auto updating itself, and perhaps this link below ‘may be’ the latest method – have you seen this one: ? As far as telemetry, again what are the minimal things we can do to tame it, without causing a fuss? Create a Topic under the version of Win10 you have. Make the title reflect your question about limiting telemetry. You can use the Forum tree at the bottom of the right-hand (woodgrain) panel to find the link you need. Topic creation is at the bottom of the page in that Forum. Good exercise!